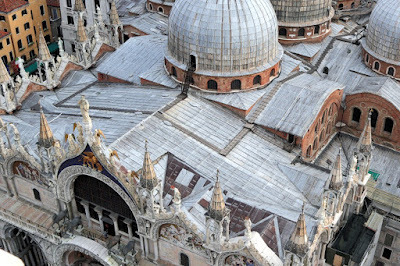 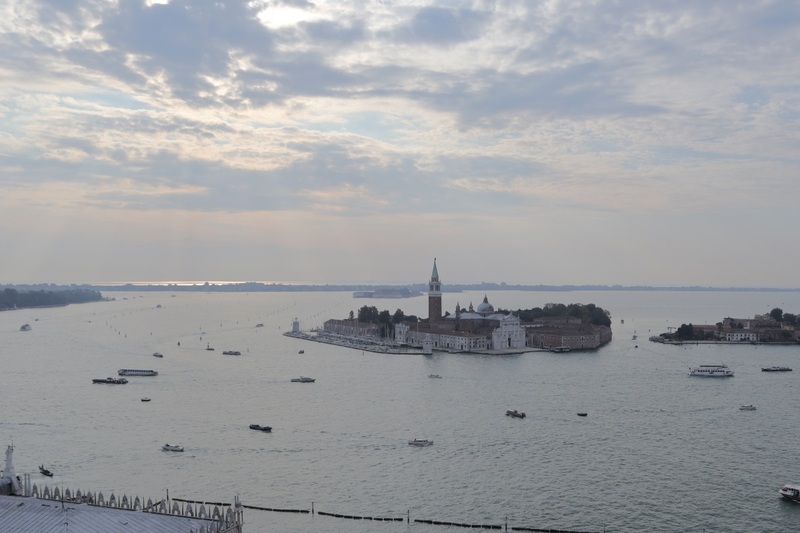 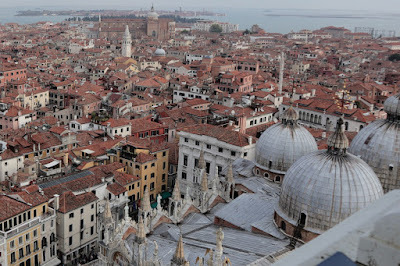 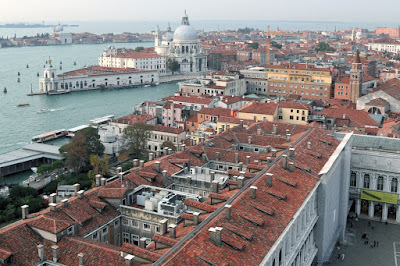 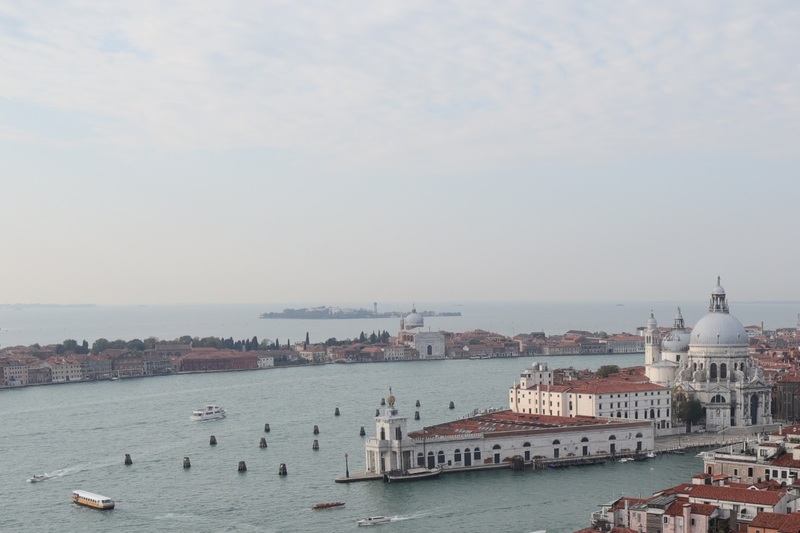 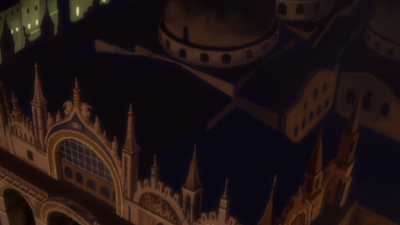 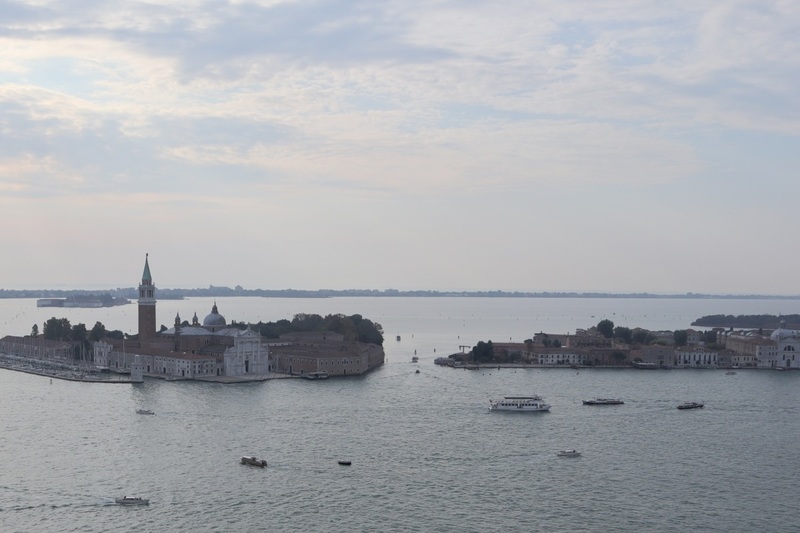 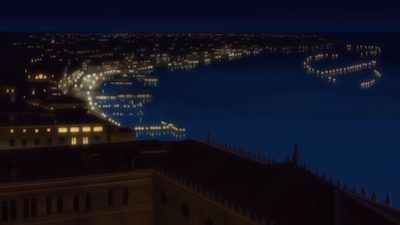 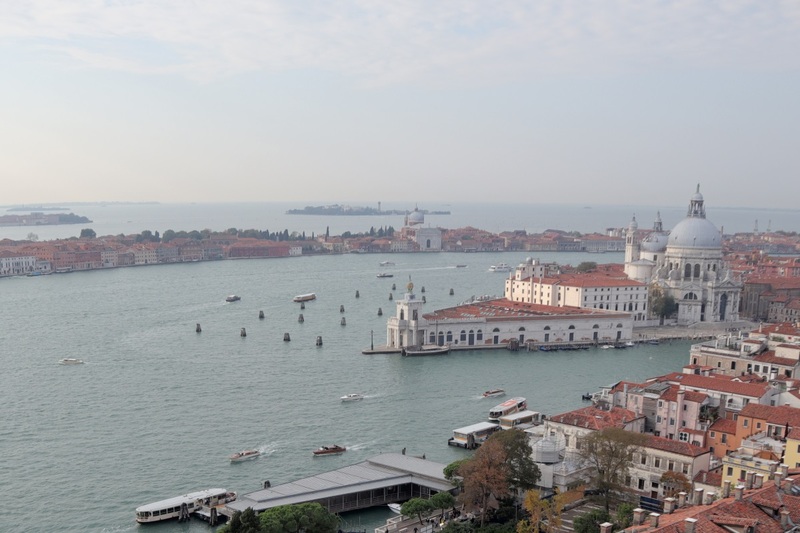 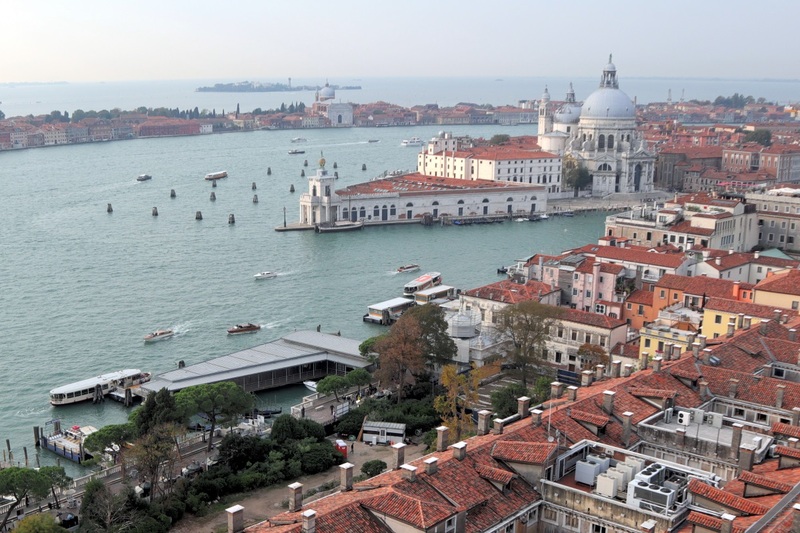 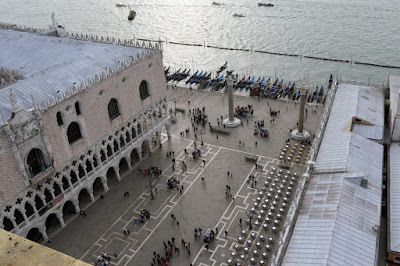 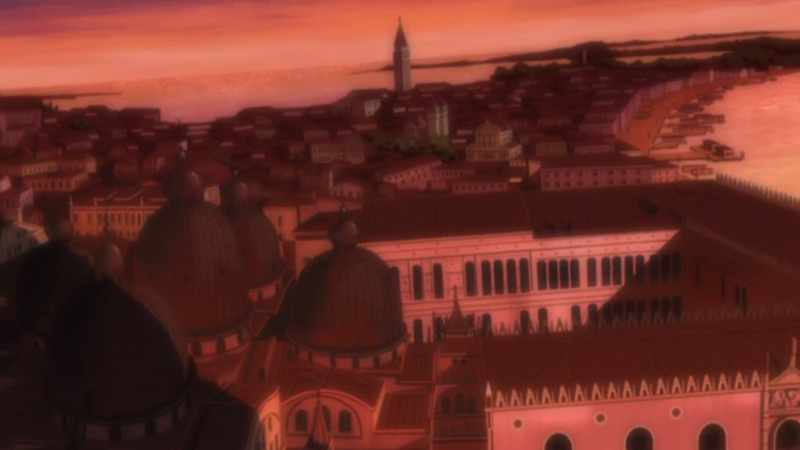 A lot of the views from the top of Saint Mark's Campanile are also shown in Aria. View towards the Basilica di Santa Maria della Salute. 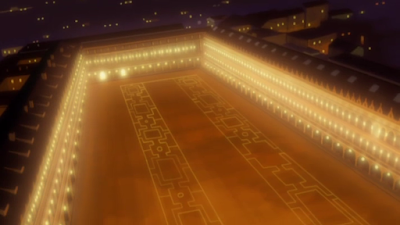 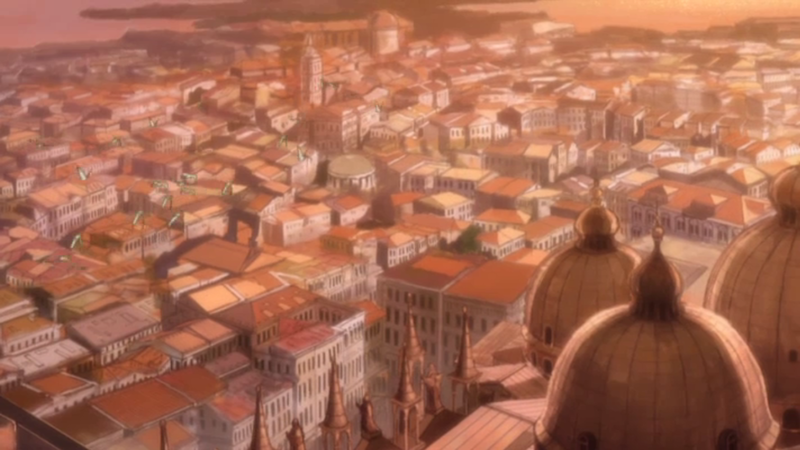 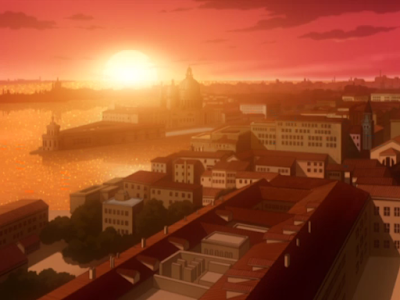 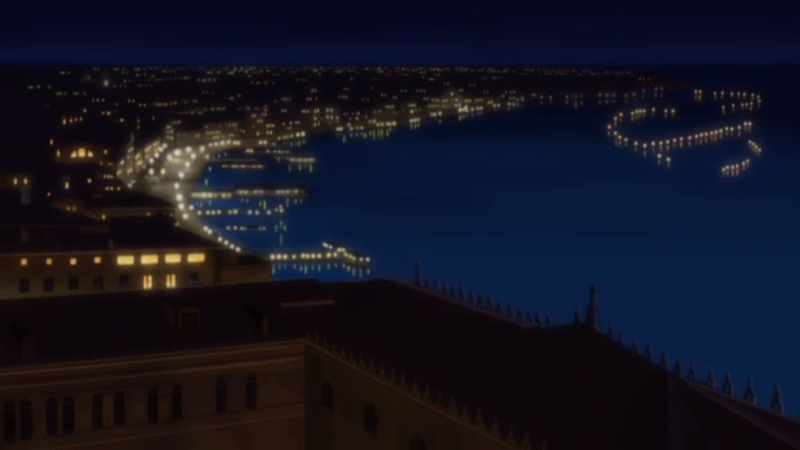 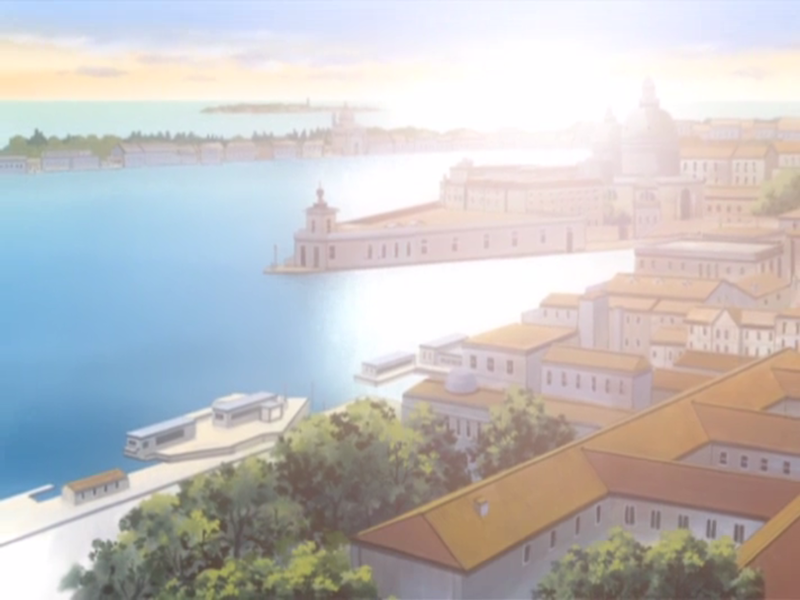 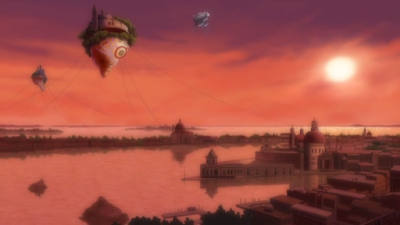 The Saint Mark's Square water bus stop in the bottom left here has become much bigger since the anime was made. 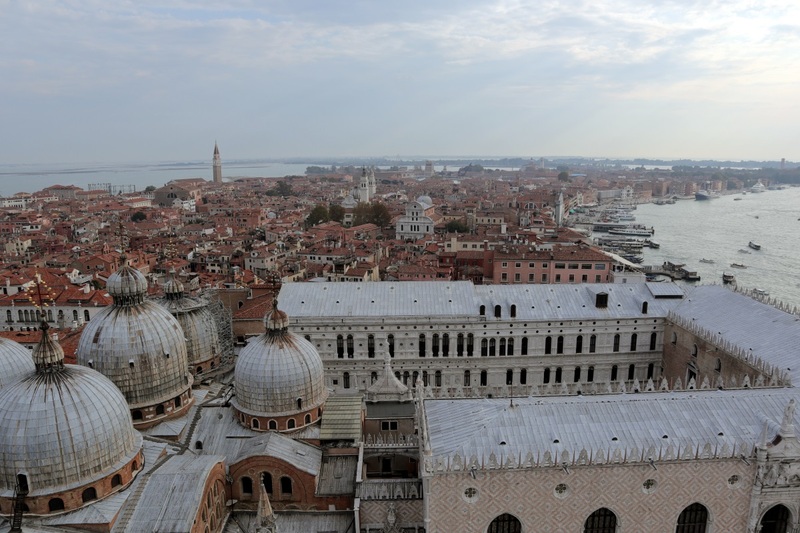 View to the left of the Saint Mark's Basilica. And to the right of the Saint Mark's Basilica. 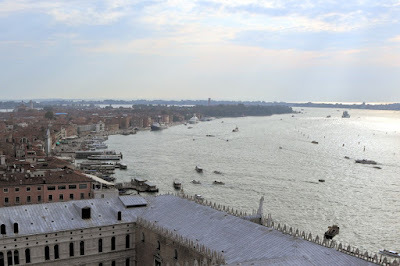 Another view towards the Basilica di Santa Maria della Salute. 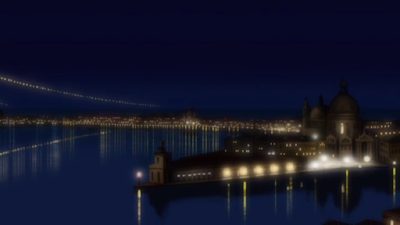 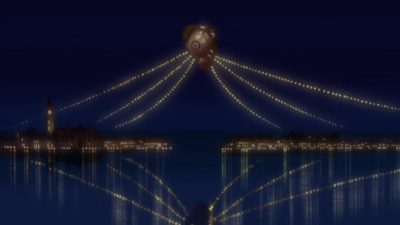 And at night in the anime. 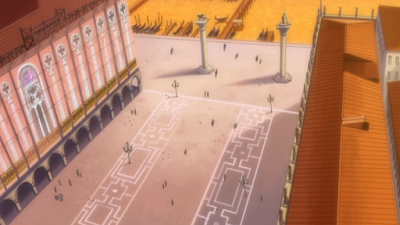 I only visited during the day though. 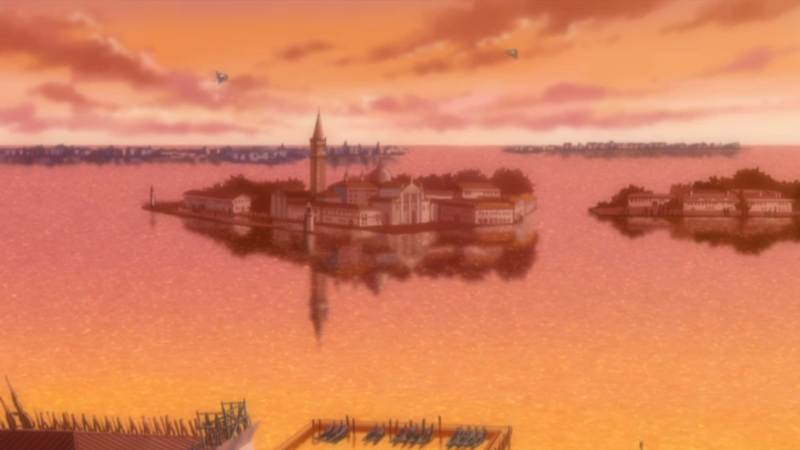 Saint Mark's Basin. 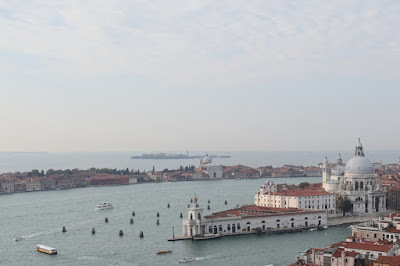 On the left here is the island of San Giorgio Maggiore. 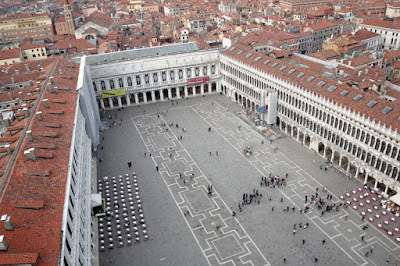 View of Saint Mark's Square. The roof of Saint Mark's Basilica. 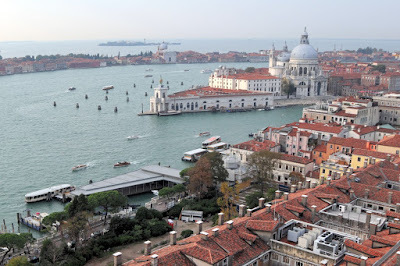 View of Saint Mark's Canal which runs along the southern side of the Castello sestieri district. View of the two columns with the statues of the Lion of Venice and Saint Theodore. And finally a full view of the island of San Giorgio Maggiore.